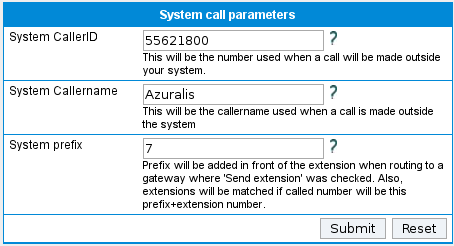 Your Free IP PBX | Documentation / How to set up branches in headquarter? Documentation How to set up branches in headquarter? Before you can actually make calls in or outside your network, office branches must be correctly added in headquarter. This article gives you the main steps for setting up branches in headquarters. When you need to connect the headquarter to branches you must first design your network. Read the How to build a FreeSentral network article to learn how to design a functional network. If you already read it, know that the prefixes are set in the dial plan section and the branches' addresses in the gateway section. The Outbound part deals with these issues. A gateway for each branch is added in headquarters. 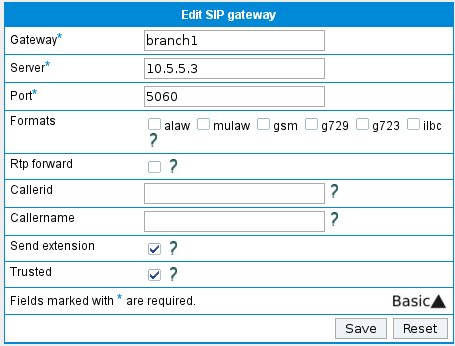 Select �Send extension� and �Trusted� options when adding the gateways for branches. The �Send extension� option lets your branches know the headquarters' extensions. �Trusted� is checked because you want to be able to route calls from a gateway(branch) to another gateway(branch or provider). Note:Remember to check �Trusted� just for your branches. Take a look at the picture below. You will notice the options discussed above. This picture shows the gateways added in the FreeSentral's headquarter. You must add dial plans for every office branches and also for the provider. In this case, the dial plans for branches are added to headquarters. Notice I typed a value in the �Prefix� field. In this case I want to add a dial plan for branch1. If you don't follow the step above, then the System prefix must be set. In the Outbound section click on System CallerID. Here you will find the System prefix. 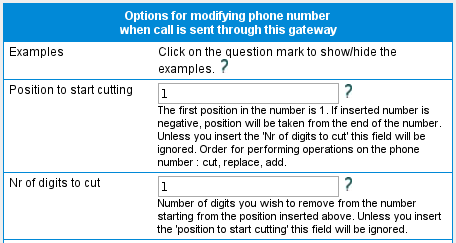 The digits will be cut automatically when enabling this field. Try your network connection by making a call. This will work only if you followed the steps correctly. If not, take a look at How do I debug FreeSentral? and "Error messages".